Let Go of Who You Think You're Supposed to Be and Embrace Who You Are by Brené Brown. 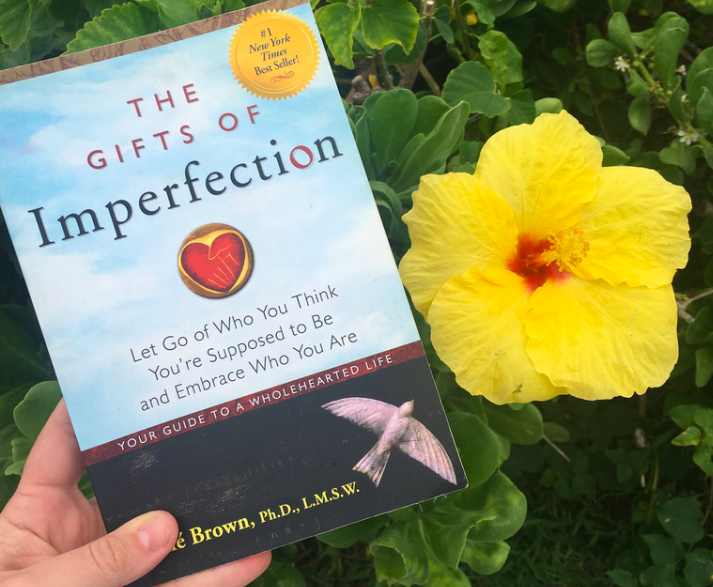 New York Times best-selling author and professor Brené Brown offers a powerful and inspiring book that explores how to cultivate the courage, compassion, and connection to embrace your imperfections and to recognize that you are enough. Each day we face a barrage of images and messages from society and the media telling us who, what, and how we should be. We are led to believe that if we could only look perfect and lead perfect lives, we'd no longer feel inadequate. So most of us perform, please, and perfect, all the while thinking, What if I can't keep all of these balls in the air? Why isn't everyone else working harder and living up to my expectations? What will people think if I fail or give up? When can I stop proving myself? In The Gifts of Imperfection, Brené Brown, PhD, a leading expert on shame, authenticity and belonging, shares what she's learned from a decade of research on the power of Wholehearted Living--a way of engaging with the world from a place of worthiness. In her ten guideposts, Brown engages our minds, hearts, and spirits as she explores how we can cultivate the courage, compassion, and connection to wake up in the morning and think, No matter what gets done and how much is left undone, I am enough, and to go to bed at night thinking, Yes, I am sometimes afraid, but I am also brave. And, yes, I am imperfect and vulnerable, but that doesn't change the truth that I am worthy of love and belonging.